Think Mexico, think mariachi bands, jungle-blanketed ruins and hotter-than-jalapeño dishes. Head to Cancun, meanwhile, and it’s the buzzing nightlife that’ll win you over. Party ‘til dawn in this Spring Breakers’ paradise before chilling out on talc-white beaches that almost look too good to be true. The hotels in this fast-paced city mean business – we’re talking huge, swanky numbers with private beach clubs, infinity pools and dining scenes with international appeal. Sounds pricey, right? Make budgeting easier with an All Inclusive holiday to Cancun – you’ll be able to fill up on as many enchiladas and mojitos as you can manage. Holidays to Mexico’s Caribbean Coast are about more than sombreros and slammers. Things get calmer as you make your way south from Cancun. In Riviera Maya, lengthy swatches of sand add a belt of dove-white to the green-and-blue coastline. Most of the hotels in these parts fit the high-end mould, and the good news is that plenty of them are All Inclusive. 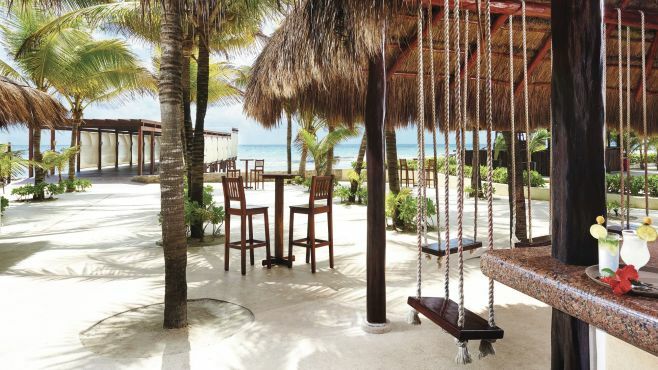 Take the luxury El Dorado Royale, with its palm-fringed pools and open-air bars – it’s more like a village than somewhere to catch 40 winks. Venture out of the hotel and there’s tonnes to do – dipping into natural pools called cenotes and exploring Mayan ruins, like Tulum, is just the start. The Pacific side of Mexico’s the lesser-known of the country’s coasts – but we think it’s a real under-the-radar gem. Instead of Mayan ruins, you’ve got Puerto Vallarta’s quirky old town, where top-notch taco stands sit shoulder-to-shoulder with art galleries and trendy boutiques. Party-like-an-animal nights are replaced with days spent whale watching and zip-lining through the jungle, and castaway islands are swapped for the lofty Sierra Madre Mountains. Looking for a place to rest your head? There are plenty of All Inclusive hideaways to pick from, but we think the Now Amber Puerto Vallarta’s one of the best – it’s plonked right on the edge of Banderas Bay. Perched at the tip of the Baja California Peninsula, off Mexico’s Pacific Coast, Los Cabos has a pair of must-see towns to tick off. 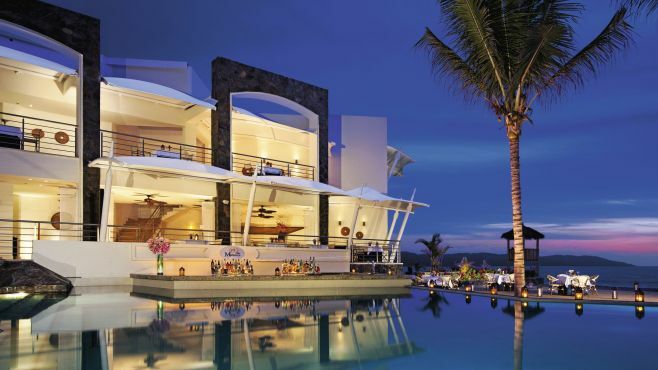 Cabo San Lucas is the wild child – glitzy nightclubs and swanky shops set the tone near the yacht-filled marina. Its neighbour, San Jose del Cabo, ticks along at a slower speed. 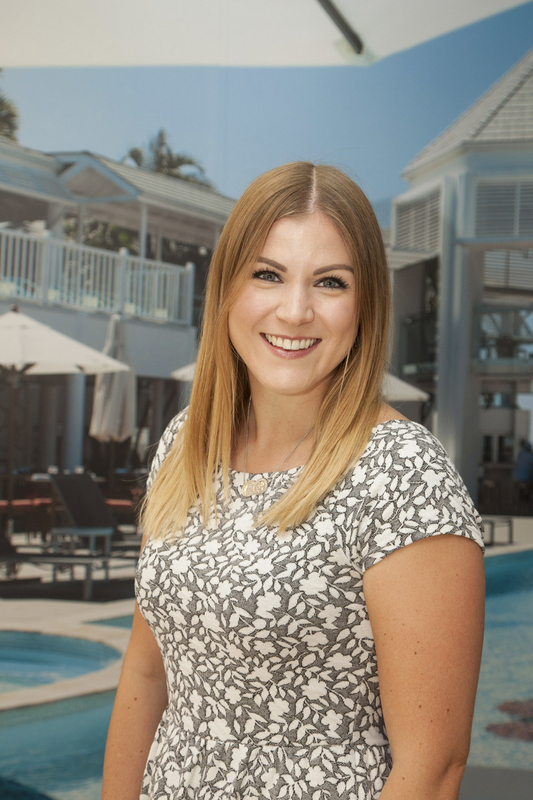 They’ve got things in common, though, like camera-ready beaches, glam hotels and enough celeb visitors to fill a red carpet – hello George Clooney and Jennifer Aniston. Think holidaying like the A-list is a bit out of your price range? 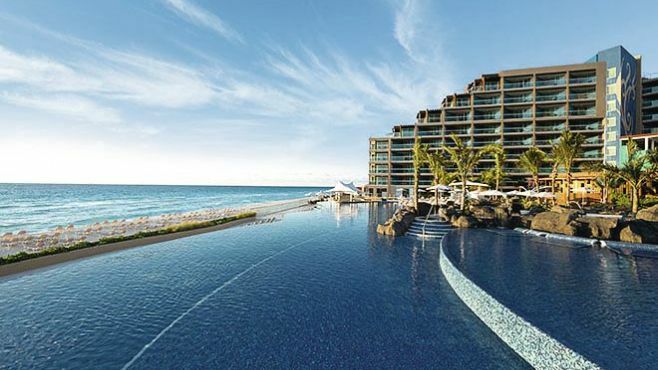 Try an All Inclusive holiday to Los Cabos. 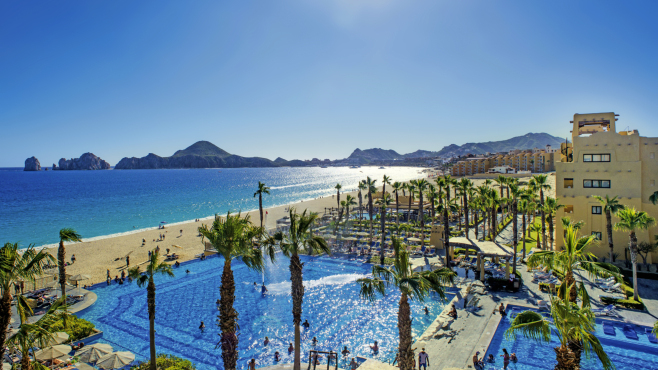 The Riu Santa Fe’s pitched up on a belter of a beach in Cabo San Lucas and comes with stellar views of Land’s End – the area’s famous arch. Decided which part of Mexico’s a little bit of you? Book your All Inclusive holiday today. Plus, find out the best time to visit Mexico.